The Jayden collection brings easy Nordic style to the bedroom. There's a wardrobe, tall chest of drawers and wide chest of drawers – get the full set, each heroing a muted grey contrasting light oak. 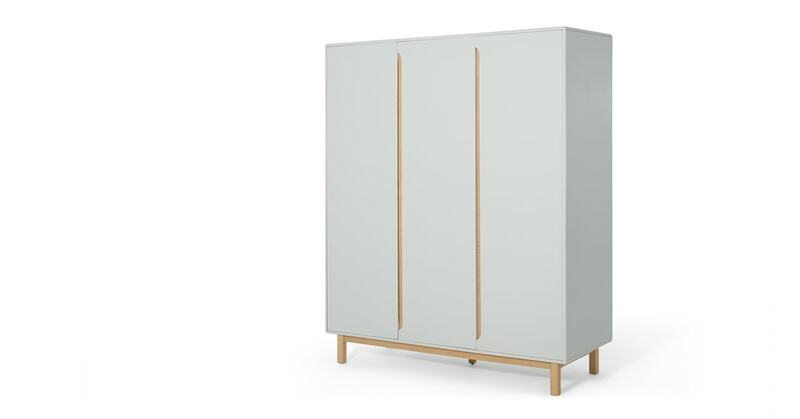 The legs and door inlays of Jayden are natural oak, set in a Scandi-inspired grey frame. There are 3 doors, and inside is a hanging rail with a shelf above. Jayden was designed in house by our MADE Studio. They're experts in trend-led design, and Jayden proves it.